Coming here some valuable sources to get yourself legally, free music for your mp3 player! What? You have no iTunes? 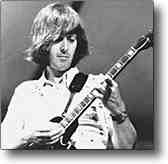 I just added a page for Spencer Davis. Discography and links for this giant of the british Rock'n'Roll. No more Zappa on iTunes Music Store! And suddenly, all Zappa cuts disappeared from iTMS. All of them. What happened? Is is some gimme-more-money question again? Anyway, Dweezil is stil there. As a result, my Zappa mix (which is still in the 42th position this week) comes empty. Not even possible to open it. The icons of records are generic, now. Also as a repercussion, the Zappa mix page has no links anymore. But, it seems Zappa is not the only one touched. From the generic icon of some other mixes, we can deduce, others have been out, too! I'll keep an eye on the case. The news came from the sidebar. One of my beloved music styles, the Ska, loses its most relevant pioneer. Surfing between Ska and Reggae Desmond Dekker, has been a starting point for many popular musicians, Bob Marley being one of them. Do french like Zappa, that much? As I wrote on a previous post (My Uncle Zappa's iMix goes up to Nº20! ), an iMix I've built on the french iTunes Music Store, has gone quite high. I passed by this morning, to download the latest free tune and, surprise, The Frank Zappa playlist is on Nº 7! Well, it's nice to see people share your musical tastes. But I couldn't imagine this treatment to such a particular kind of music! Especially considering the opinion of this enormous musician had about France! I have to admit: fair play the frenchies! My Uncle Zappa's iMix goes up to Nº20! Unbelievable! A Frank Zappa filled playlist goes up to Nº20 of the french iTunes Music Store iMix list! Who could imagine, french being fond of my Uncles music? Thank you guys! After pushing up my AFRS Athens iMix up to Nº2 last summer, it's time for a Zappa list to go high! Thanks and try again! Maybe next week, it will be even higher!